Pilgrim Innovative Plastics, LLC - Roehr Tool Solutions, Inc.
Pilgrim Innovative Plastics, LLC has worked with Roehr Tool over the last 10 to 12 years on several injection molds that would typically have required unscrewing actions. 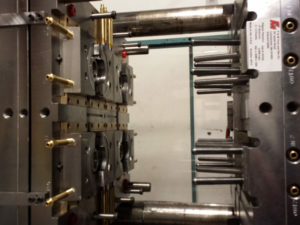 “We were able to design molds which ran cycles about 20% faster due to the fact that the thread undercuts cleared themselves with a single knockout stroke rather than the time to rotate a core to demold and reset in position, as well as the timing necessary to eject after unscrewing. “says Pilgrims President, Joel Nickerson. “Set ups are also simpler as there are no hydraulics or electric motors required.” added Joel. “Recently, Roehr replaced two cores for a mold with 2” pipe threads, which were getting a little tired after producing 2 million parts over the last 10 years, and the threads look great. The life of the first set of cores exceeded our expectations with no maintenance except simple lubrication.” “We were also fortunate to have a design challenge remedied with one of the first of their Dovetail Collapsible Cores. The part had submerged cams in the moving half of the mold and we needed threads on the stationary “A” half. 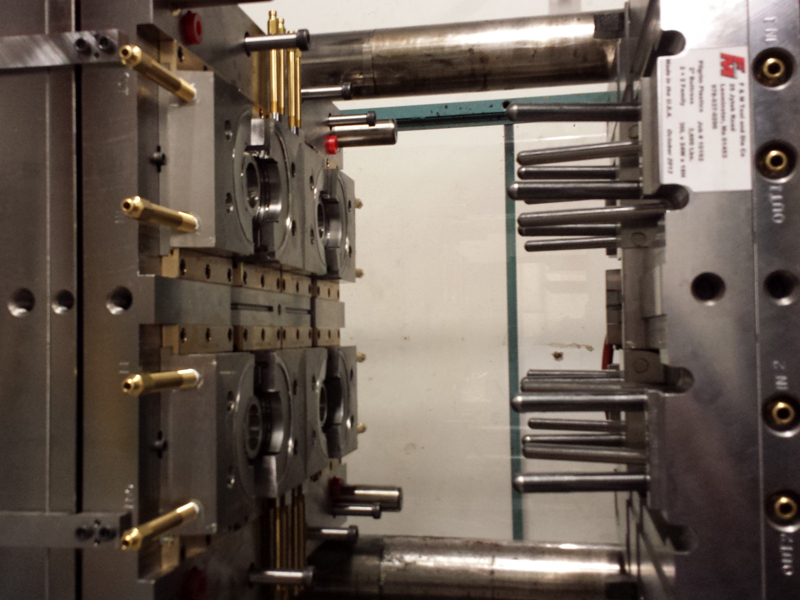 The mechanical Dovetail design allowed us to build a very robust mold which ran exceptionally well. We couldn’t have built it reasonably any other way. Again Roehr Tool came through with a unique solution.” “Roehr’s design assistance has been quite beneficial with our thread and undercut challenges and they have never let us down. I recommend Roehr Tool collapsible cores for any application they feel they can satisfy.” concluded Joel.